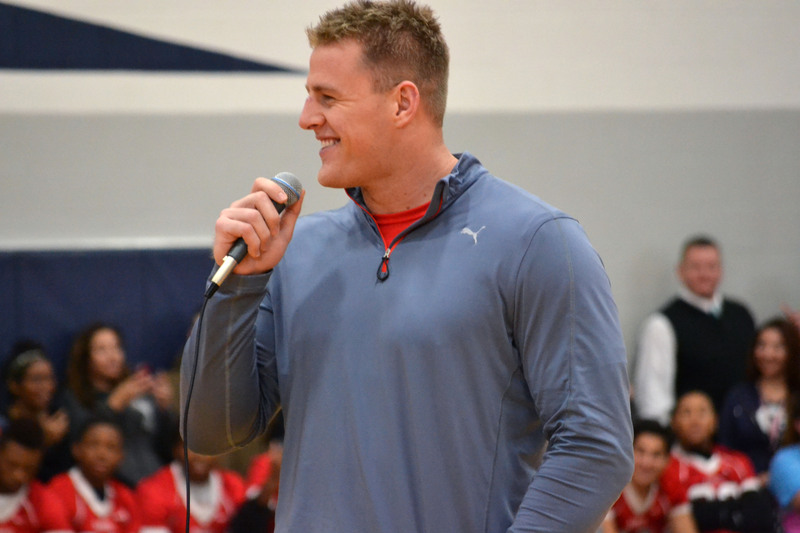 NFL player and defensive end for the Houston Texans JJ Watt visited Manvel High School today during a pep rally to celebrate varsity sports achievements. The visit came as a result of freshman Analiya Quiroa’s grandmother entering and winning a contest through Gatorade. She then chose between the two grand prizes; a lifetime’s supply of Gatorade or a pep rally visit from Watt. 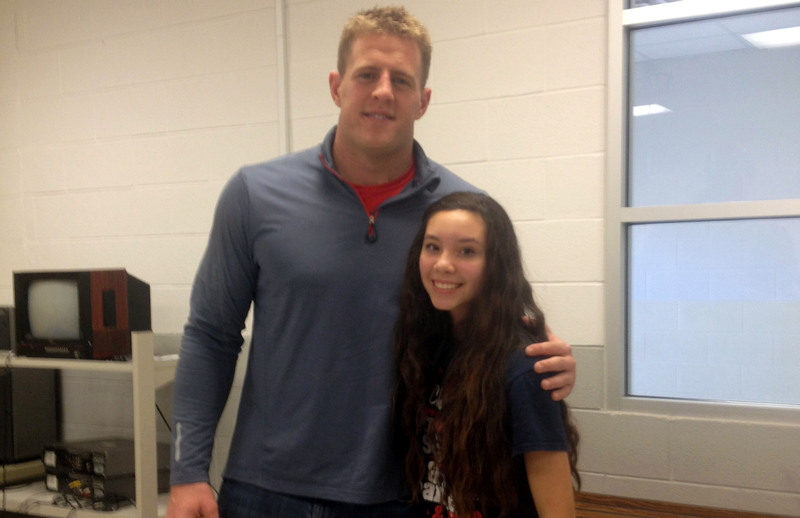 Knowing that her granddaughter attended Manvel High School and is a huge fan of Watt, she chose the latter. The pep rally began with acknowledging varsity athletes, particularly the girls’ and boys’ varsity basketball teams, ranked 2nd and 18th in the state respectively. 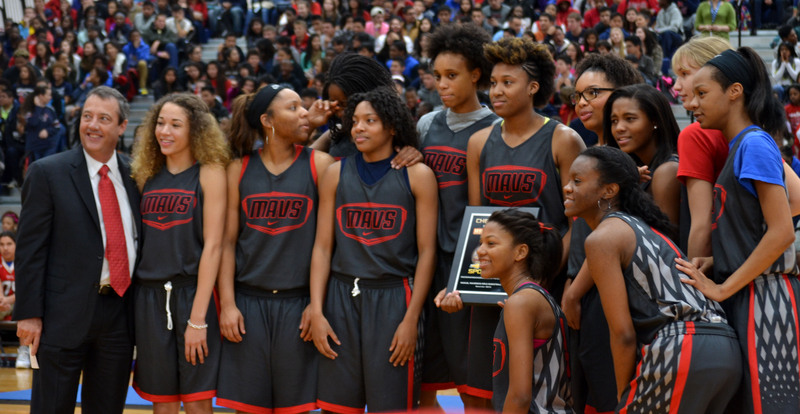 The girls’ basketball team also received the Chevrolet Spotlight Award from Chevy representatives. Afterwards, Watt came out to say a few words about what it took to achieve his dream of playing for the NFL and take some questions from the student body. Many students got to personally meet Watt, cheered loudly from the stands, and even took pictures with him, making his visit successful and uplifting.